Top 10 Best Snorkeling Beaches In Thailand – selected after our local experience! Exploring the deep sea in Thailand can be very expensive, due to costly diving gear, the price of a guide and other equipment needed for a proper dive into the sea. However, there are cheaper alternatives, as there are a number of snorkeling sites just off the Island. Below are the best places for snorkeling off the coast of Thailand. Five of the incredible islands that constitutes the popular Surin Islands in the Andaman sea houses some of the best dive sites in the world. The beaches and surrounding coastlines feature abundant wildlife both in and out of the water. The Ao Mae Yai Bay is the most revered for snorkeling out of all the bays; it found within the Surin Island. Ao Mae Yai Bay is found on the island of KohSurinNuea. Marine life found on this bay includes the notorious clown-fish. Koh Nang Yuan is made of three different islands found in the northeastern part of Koh Tao. The islands are connected together by a gleaming sandbar. The coral reef consists of both soft and hard coral that is protected and it's reasonably shallow, which makes it an ideal location for snorkeling. The island is privately owned, and as such, there is a gate fee. 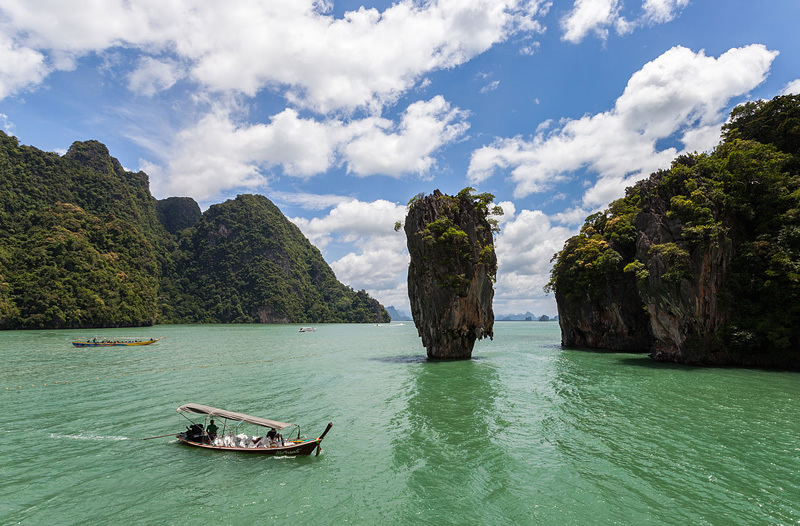 However, it is a small price to pay to explore some of the most stunning waters of Thailand. This is also another good snorkeling place in Koh Tao, commonly referred to as Turtle Island. It is situated on the southwest coast, and snorkel lovers can grab their gear and explore the area right off the beach. The coral reef is ideal and allows swimmers to enjoy an amazing view of what lies under the island's crystal surface without wandering too far. Maya Bay became famous for tourist around the world after the premier of the film, The Beach which starred Leonardo DiCaprio. The movie was shot on the island in 1999 and as since become a destination for tourist to reenact their favorite movie scenes. The bay is a great place to snorkel, as it is made up almost entirely of coral reef. The main stretch of beach is about 200 meters long, and it is surrounded by towering cliffs on three sides covered with foliage and greenery. Koh Kradan, a small island southeast of Koh Lanta, is spectacular both in and out of the water. The island is part of the 89-square mile Hat Chao Mai National Park, making the reef here almost untouched or destroyed by visitors. This is one of the quietest islands in Thailand, with very few tourists and an abundance of vegetation which provide visitors with complete seclusion. The best bay for snorkel lovers to get their feet wet is Ao Niang, this bay is located on the southeast part of the island. It is here visitors will find some excellent off-beach snorkeling to see marine life and corals galore. Although not the most popular beach in Phuket, Kata Beach offers snorkel lovers with some of the most amazing underwater views on the island. The island has a white sand beach that contains sloping palm trees that offer beach-lovers the optimum seclusion. The beach is about a mile long, and remains uncrowded and serene. 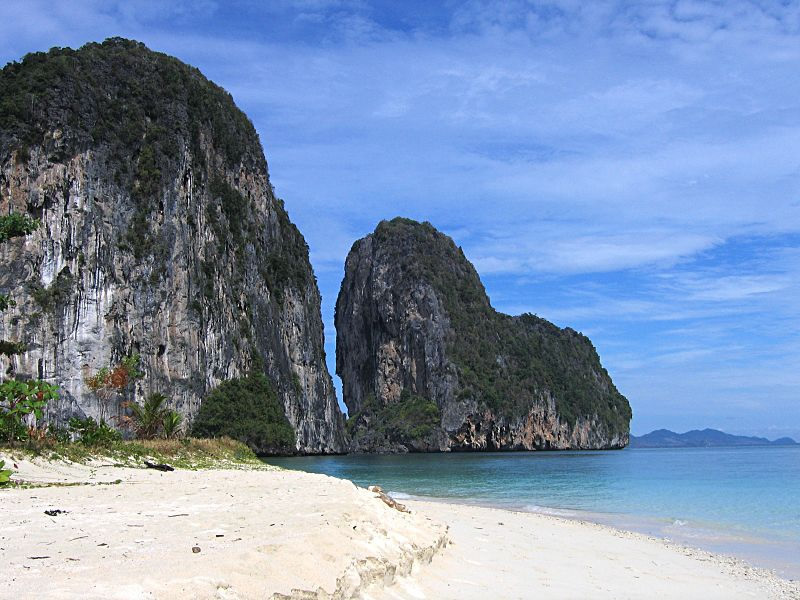 KohNgamYai is located off the small town of Chumphon, and it's the larger of the KohNgam islands. A lot of tourists who come to Chumphon end up going somewhere else; either to the popular Koh Tao Island or the KohSamui. This however has made KohNgamYai quiet and secluded and full of shallow and colorful coral found in a lot of places just about six feet below its surface. It takes just a little over an hour via boat to get to KohNgamYai from ThungWua Laen Beach. Koh Lanta which translates “dazzling island” features ten beaches with captivating sunsets and cool atmosphere. 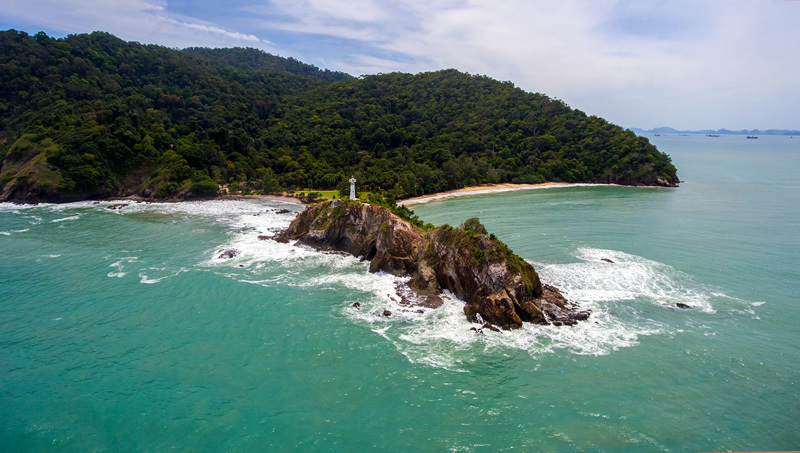 Firmly established as a tourist destination, Koh Lanta is one of the largest islands in Thailand and as such receive an incredible tourism boom over the years. The dry season (the period between November and April) features spectacular sunsets on a daily basis. Koh Lao Liang is a small island about 20 km offshore in the Koh Petra Marine Park in Trang Province. The island features a breathtaking view and serenity which makes it one of the best places in Thailand and around the world for a getaway. The island offers a means for relaxation with lots of adventure sports in an unspoiled natural haven. Activities available on the island includes snorkeling, kayaking, rock climbing, bouldering etc. There is a small beach bar available on the island that allows you to have fun and make friends.